Headaches are one of the most common human symptoms. 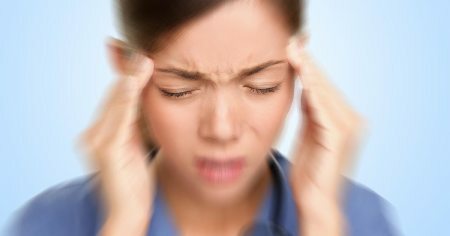 It is actually uncommon for people not to get an occasional headache. Treatment for these might be a glass of water, a lie down, or some over-the-counter pain relief. No further treatment is usually required. If you suffer from frequent, or more severe, headaches or migraines you’ll know how debilitating they can be. They interfere with one’s ability to work and socialise, and can drastically reduce quality of life. Headache Australia, a branch of the Brain Foundation, estimates that up to 10% of Australians suffer from migraines and a massive 36% of men and 42% of women suffer from chronic tension-type headaches. While pain killers may (or may not) be effective at controlling pain when it arises, they play little role in preventing the next episode. Headaches can certainly be one-off’s due to stress, diet, dehydration etc; however, if you are getting headaches on a regular basis (a few a week) you seriously need to consider tracing the cause and seeking prevention. Migraines are headaches that generally last for 4 to 72 hours, and are often accompanied by symptoms such as nausea and vomiting, and light and noise sensitivity. Migraines are very common. With an estimated 2 million sufferers in Australia. That’s more than asthma, or diabetes, or coronary heart disease. For sufferers of migraines, modern medical approaches tend to involve medications to reduce the severity during an acute attack – analgesics, anti-inflammatories, anti-nausea drugs. For frequent migraine sufferers, preventative medication may be recommended. While the drugs used for migraine prevention have been shown to reduce the frequency of attacks, these drugs are not without side effects. Patient drop-out rates in most clinical trials are high, suggesting that the drugs are not well tolerated by patients. Is acupuncture an effective treatment for headaches and migraines? In recent years there has been a lot of research that backs acupuncture’s claim to be able to treat and prevent headaches and migraines. The general consensus from this research is that acupuncture is at least as effective as (and often better than) conventional drug prevention methods, only without the side-effects and at a fraction of the cost. Treatment with acupuncture (and perhaps herbs, depending on the type of headache) generally reduces the frequency and severity of headaches, has lasting effects, reduces the need for analgesics and reduces days of lost productivity. A massive 15,056 headache patients were assigned to either acupuncture treatment or control (no acupuncture treatment). Their number of days with headaches, their pain intensity, and their health related quality of life were assessed at the beginning, at 3 months and at 6 months. The treatment group received 15 acupuncture sessions in the first 3 months, so about one treatment per week. Results: At 3 months, the number of headache days per month decreased from 8.4 to 4.6 in the acupuncture group, and from 8.1 to 7.5 in the control group. Similarly, pain intensity and quality of life score improvements were more pronounced in the acupuncture versus the control group. The results were maintained at the 6 month follow-up, even though treatment stopped at 3 months. Jena S, Witt CM, Brinkhaus B, Wegscheider K, Willich SN. Acupuncture in patients with headache. Cephalalgia 2008;28(9):969-79. In a trial involving 270 patients with chronic tension-type headache, with at least 8 days with headache a month, the treatment group were given acupuncture 12 times in 8 weeks. Results: At 12 weeks, the number of headache days per month decreased by 7.2 in the acupuncture group versus 1.5 in the no-treatment control group. The improvements seen in the acupuncture group persisted through to the follow-up at 24 weeks. Melchart D, Streng A, Hoppe A, Brinkhaus B, Witt C, Wagenpfeil S, et al. Acupuncture in patients with tension-type headache – randomised controlled trial. BMJ 2005;331(7513):376-82. There is consistent evidence that acupuncture can benefit acute migraine attacks. Acupuncture has better outcomes and fewer adverse effects than preventative drug treatment. Effects of treatment are sustained. One study showed no decline in benefits 9 months after treatment had stopped. Linde K, Allais G, Brinkhaus B, Manheimer E, Vickers A, White AR. Acupuncture for migraine prophylaxis. Cochrane Database of Systematic Reviews 2009, Issue 1. A short course of treatment, typically 12 sessions over a 3 month period, can have a long-term impact on the frequency and intensity of headaches and migraines. Side-effects are minimal and the cost less than most mainstream treatments. If you are tired of struggling with headaches or migraines, acupuncture offers an effective alternative to heavy drug therapies. To book your appointment, please call 9331 7822.